As featured in the June 2010 edition of PilatesStyle magazine. Learn the Roller Repertoire. For students and teachers. Detailed, step-by-step instructions on how to perform over 65 skills on the roller. 40 pages, 8.5″ x 11″, Wire-O bound. 232 photographs. 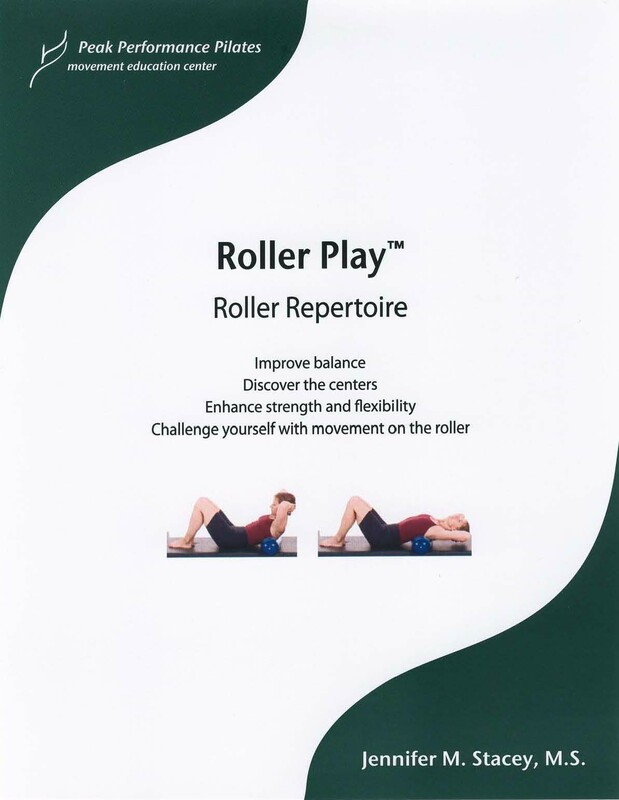 Receive a Discount when purchasing the Roller Play™ Manual with any Movement Perspectives™ Manual: use Coupon Code 01 in cart. If you order Roller Play™ with another book, it can be inserted into the same USPS flat rate envelope that the other book is shipped in. Please note the shipping options during check out. Roller Play™ has 2 options of shipping: regular mail and priority mail. Client edition of Movement Perspectives™. A well received comprehensive manual that creates a foundation to understand Pilates and Movement: Joseph and Clara Pilates’ History, Master Teachers, Principles and concepts, Imagery, Program Design, Neuro-muscle Physiology, Breathing, Kinesiology, Pilates Kinesiology, Breathing, Organ-Muscle Relationship, Factors that influence movement, Posture and Gait Analysis. Detailed instructions on performing Pre-Pilates movements inspired by M. Feldenkrais, Physio-synthesis™ and physical therapy, that prepare the body for Pilates. Contributors: Jarmo Ahonen, PT; Marika Molnar, PT, LAc; Andreas Risch, DO, PT; Richard Robertshaw, DC; Chady Wonson, DC, LAc, CTN, CNC. Illustrations by Lauren McMullen. 156 pages, 8.5″ x 11″, wire-O bound. Over 700 photographs. 42 Original illustrations. For shipping options: Domestic choose: “USPS Flat Rate priority; 1 book only; domestic” ($4.95). For Canada choose: “USPS Flat Rate priority; 1 book; Canada” ($11.95). For International choose: “USPS Flat Rate priority; 1 book only; International” ($13.95). A well received comprehensive manual that creates a foundation to understand Pilates and Movement: Joseph and Clara Pilates’ History, Master Teachers, Principles and concepts, Imagery, Program Design, Business of Pilates, Neuro-muscle Physiology, Breathing, Kinesiology, Pilates Kinesiology, Breathing, Organ-Muscle Relationship, Factors that influence movement, Posture and Gait Analysis. Detailed instructions on performing Pre-Pilates movements inspired by M. Feldenkrais, Physio-synthesis™ and physical therapy, that prepare the body for Pilates. 176 pages, 8.5″ x 11″, wire-O bound. 714 photographs. 42 Original illustrations. English and French editions available. 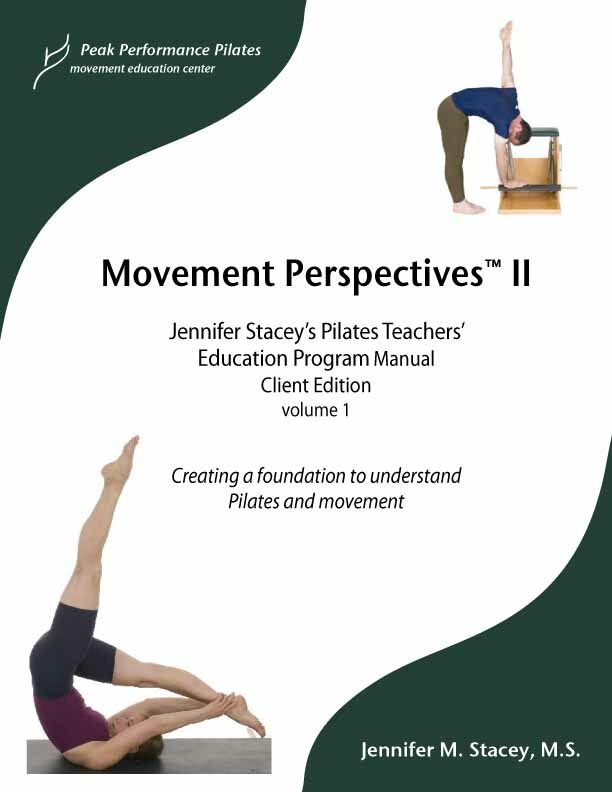 Comprehensive teaching manual featuring the Universal Reformer Repertoire, Classic Transitions, Mounts/Dismounts, Sequencing, Modifications, Variations, Spotting, Real Client Errors, Benefits, Imagery and Cues. Teaching “gems” from the Pilates’ Elders. Photographs of various body types and levels performing the work. Dr. Wonsons’ tips: Structural, Neural, Meridian Benefits. Contributor: Dr. Chady Wonson, DC, LAc, CTN, CNC. 256 pages, 2740 photographs, 8.5″ x 11″ wire-O bound. Receive a Discount when purchasing the Reformer Manual™ with any Movement Perspectives™ Manual: use Coupon Code 02 in cart.